Exclusive offer for sale furnished new building in the village Turecká, only 13km from Donovaly. The pension is located in the beautiful mountainous surroundings of the Great Fatra. Its location predestines it for use during the summer months for mountain tourism and during the winter months for ski stays in the village of Donovaly. Accommodation: is provided in 13 rooms and 5 suites, the rooms are fully furnished and maintained, each room has a bathroom, a balcony, a TV, and the like. The current capacity is 41 beds, this capacity can be increased by other apartments, which are currently privately used. It is possible to provide accommodation for staff as well. Heating is combined - electric boiler + solid fuel fireplace. Free WIFI within the guesthouse. 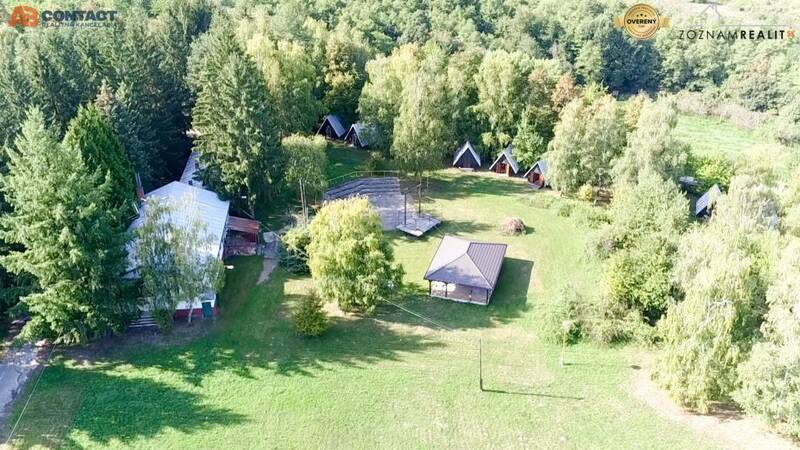 to the village of Turecká is entered through Staré Hory, within the village there is an older, currently unused ski resort SKI TURECKÁ, in the future it is considering connecting the village of Turecká and Donovál, which would significantly increase this property. At present, it is possible to attract tourists to the adjacent mountains - hiking and winter skiing in available Donovaly. if you are interested in the tour, more info, do not hesitate to contact us on the attached phone number.